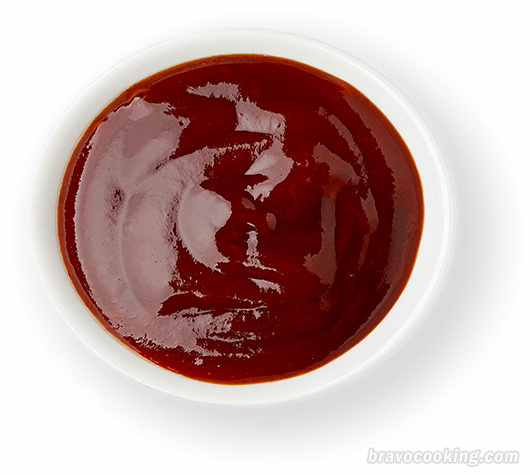 How would you like to make a barbecue sauce better than a grocery store. This is good, tangy, hearty, chunky sauce that you can name after yourself it you want. Combine all ingredients in a blender or food processor and puree (until smooth). Cook over medium-low heat while stirring every once and a while until the oil has separated from sauce and sauce has become very thick (this takes about 1 hour). Dip off the oil (which can be used for some real nice taste in other dishes) and there you have it. This can be stored in a air tight container in the refrigerator for up to 2 weeks. (longer if frozen).